As the September dew begins to settle around the Goodwood motor racing circuit, the evocative sound of racing engines and smell of Castrol oil from the 2015 Goodwood Revival are fading to memories. 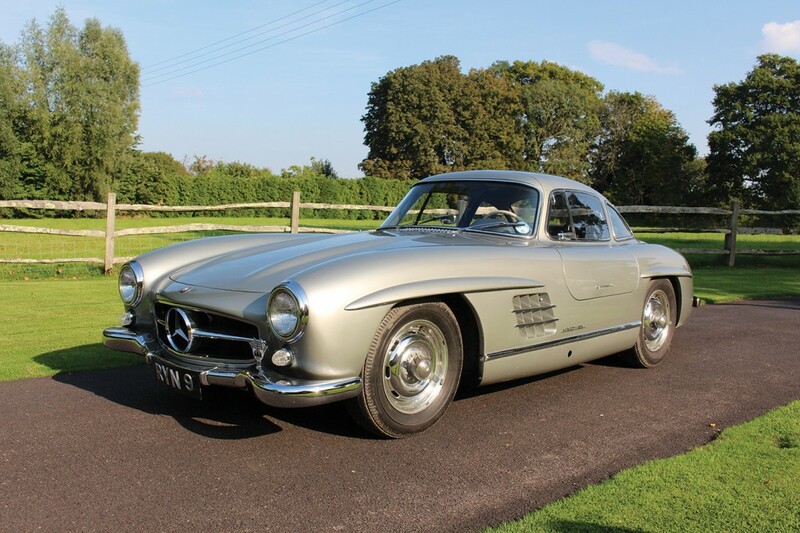 I am visiting my great friend John Young, the renowned racing driver, who has invited me to come and see his rare 1955 Mercedes-Benz 300SL Gullwing, one of the most iconic cars of the post-war era. After the Second World War, Mercedes were only allowed to return to racing in 1950. 1951 saw a series of victories for the marque including a 1-2 at Le Mans. 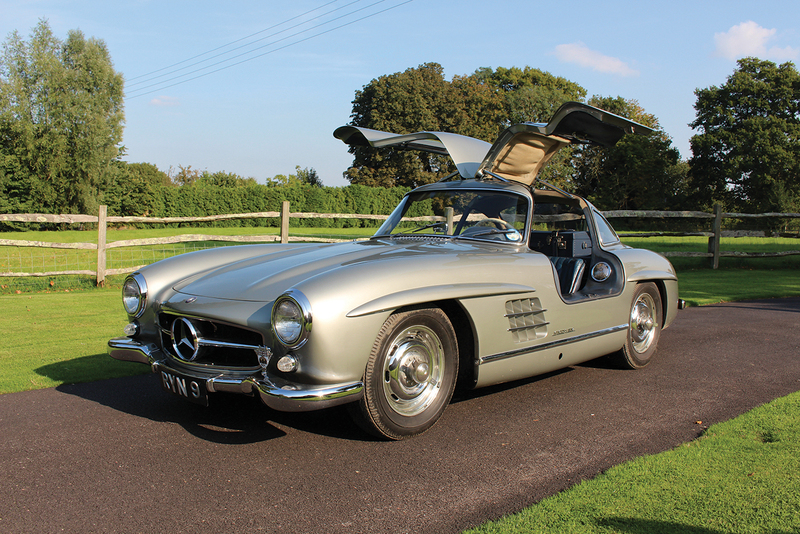 The Gullwing’s body attracted sensational interest amongst the press and motoring enthusiasts. Stirling Moss’s win in a 300SLR at the 1955 Italian Mille Miglia road race helped to seal Mercedes’ dominance in motor racing and his reputation as one of the greatest drivers of all time. Moss was accompanied by the writer and navigator Denis Jenkinson, known as “Jenks”. 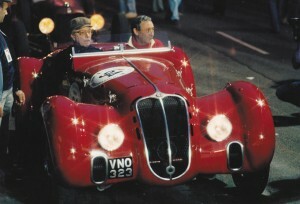 Jenks gave an account of Moss’s remarkable drive, writing for Motor Sport in June 1955. It emphasised the driver’s concentration and commitment and his particular gift for setting up and balancing a car at extreme speed through towns and countryside. Moss would later remark that the roadside crowds gave the event a “fiesta feeling”. Unlike Jenks, John Young remarks that he is a “bad passenger” – unsurprising coming from a man who was used to being in control behind the wheel of a racing car. 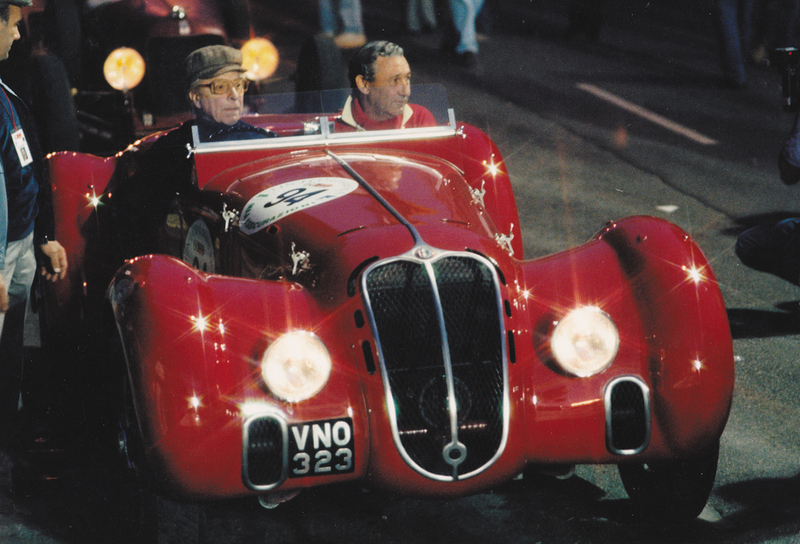 Amongst many racing drives in 1955, John was a works driver to the Connaught team and raced in the Goodwood Nine Hours Endurance Race in a Lotus-Connaught with John Coombes. “I’ll never forget my mate Roy Salvadori offering to show me a circuit,” he says. “I got in the car but, my goodness, you’d hold on when he was flat out. He went so fast that I slid under the dashboard!” Roy Salvadori famously won Le Mans for Aston Martin in 1959. 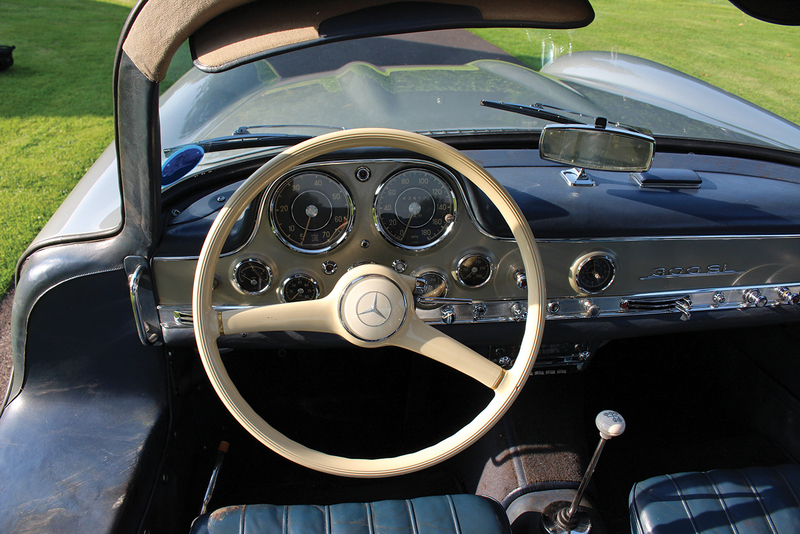 Our conversation returns to John’s beautiful 300SL Gullwing. “These cars were really advanced for their time, with their tubular space frames and in-line, six-cylinder engines, which have a racing note,” he comments. 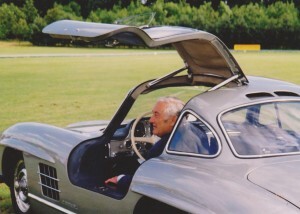 I remark on the large side vents which, like the doors, are such a distinctive feature of the Gullwing. John responds, “They are important for discharging the heat from under the bonnet. Although the lines and details are beautiful, this is above all a properly engineered car.” You sit low in the car and the evocative smell of the original blue leather captures the senses. John explains that most of these cars had fabric seats and that this was a rare option. In the driving seat, your view beyond the ivory coloured steering wheel, instrument binnacle and painted dash is of the long, gently curving bonnet with its two characteristic bulges. Underway, the engine revs rise rapidly and there is a hard note to this engine, reminding you that its heritage is in motor racing. The excitement of the engineered, mechanical qualities of this remarkable vehicle delight the senses. John acknowledges the tremendous acceleration these cars are capable of. Although they were raced, they are truly grand tourers. Returning to John’s terrace, we sit drinking champagne as the sun begins to set on what will be one of the last warm evenings of the year. With the South Downs before us, my friend John Young regales with stories of a glamorous motor racing age of gentlemen racers and enthusiasts now overtaken. Like its generous owner, this Mercedes-Benz 300SL Gullwing stands as a wonderful testament to this remarkable post-war period. By Revd. Rupert Toovey. Originally published on 1st October 2014 in the West Sussex Gazette.